The oil soluble carrier holds the compound together very well, even under high speed applications. The carrier helps to provide faster cutting action and can be thinned with our Lubricant/Thinner. These compounds feature close tolerances on particle size and distribution for consistency. The diamond concentration has been specifically designed for the mold & die industry. The finest quality Synthetic Diamond carefully micronized strictly within tolerance limits with the sizes. Most appropriate for Ruby, Sapphire, White Topaz, Amethyst, Citrine, Peridot and other precious and semi-precious stones. 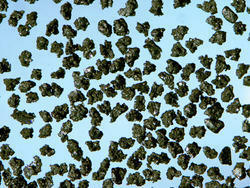 Diamond Powder is the finest of synthetic diamond powder, diamond micron polishing powder. It is processed using latest technology and has well-shaped natural diamond particles with strong bond retention. It is used for gems and dies polishing. 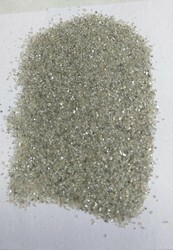 Diamond carefully micronised strictly within the tolerance limits and also taking into consideration the sizes. Most appropriate for the GEM Stones like RUBY, Sapphire, White Topaz, Amethyst, Citrine , Peridot and many other Precious and Semi- Precious stones .Suitable micron sizes should be used for better results .